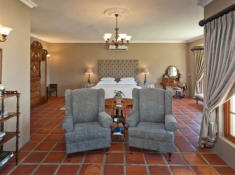 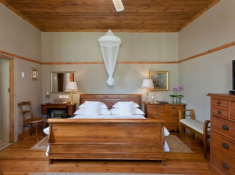 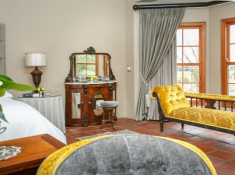 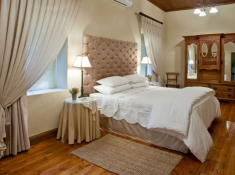 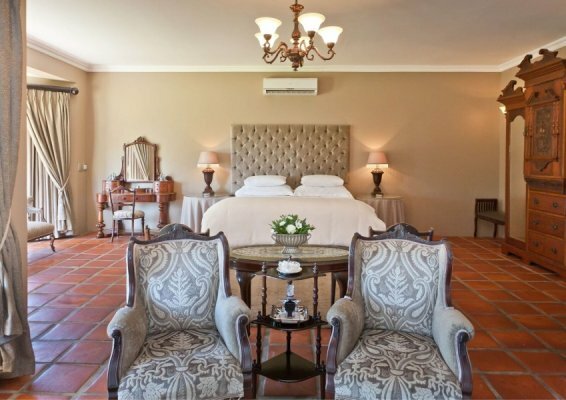 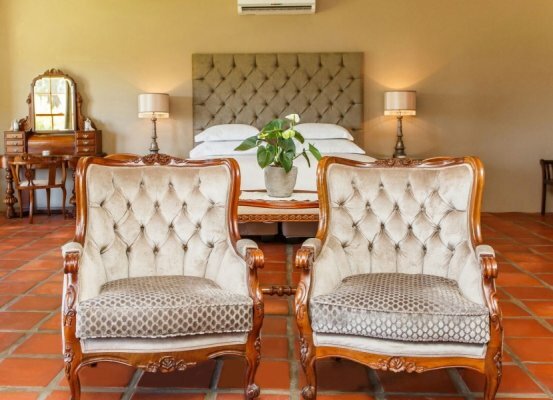 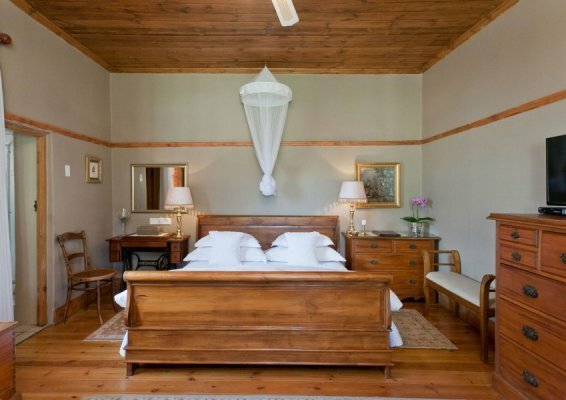 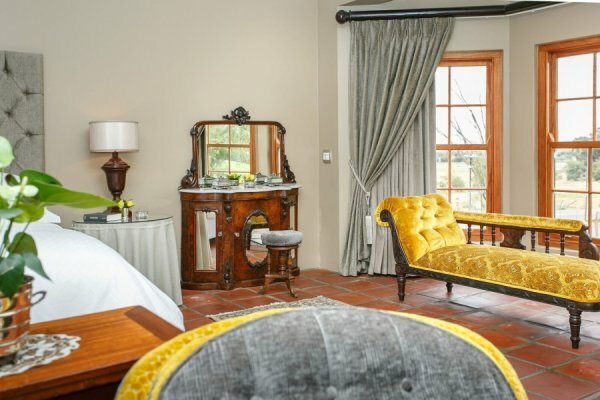 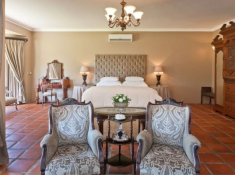 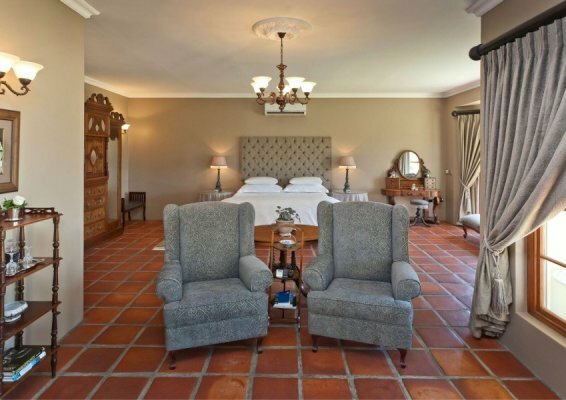 La Plume is a grand Victorian homestead set on a working ostrich, alfalfa and vine farm near Oudtshoorn and offering generous boutique-style comforts and old-world charm. 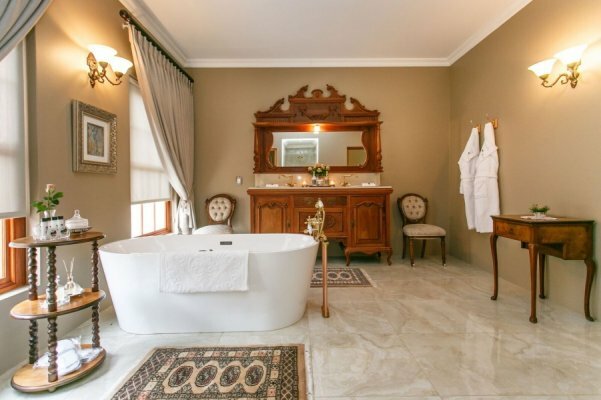 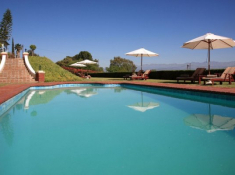 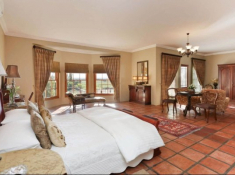 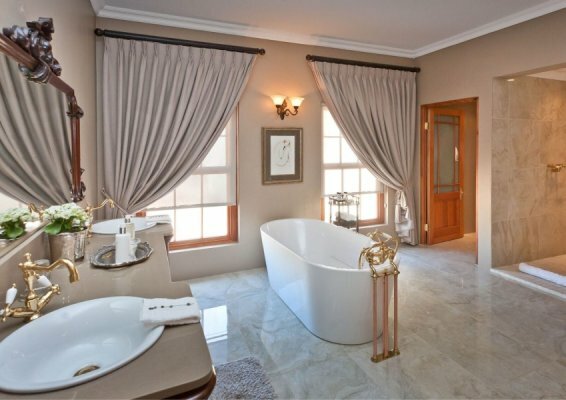 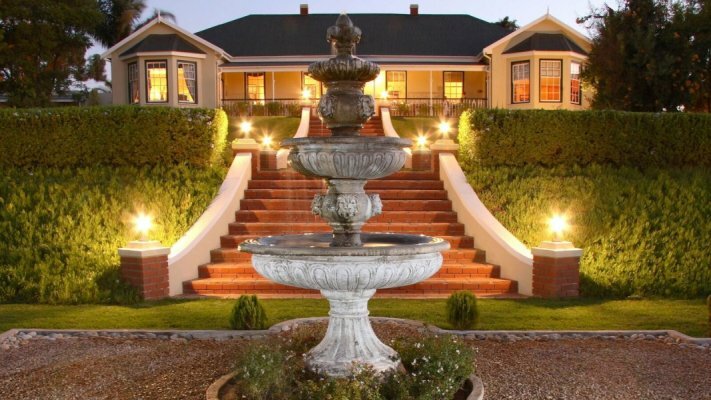 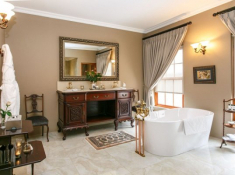 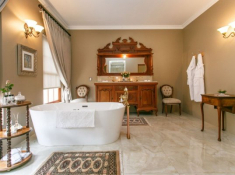 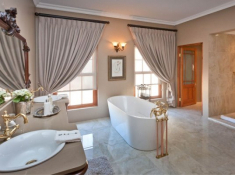 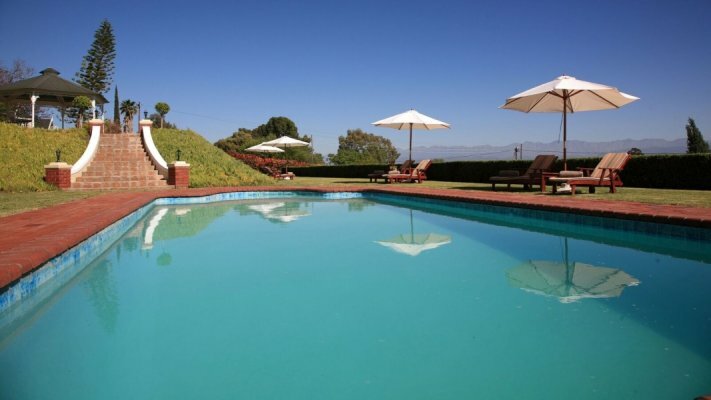 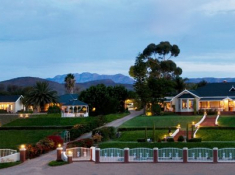 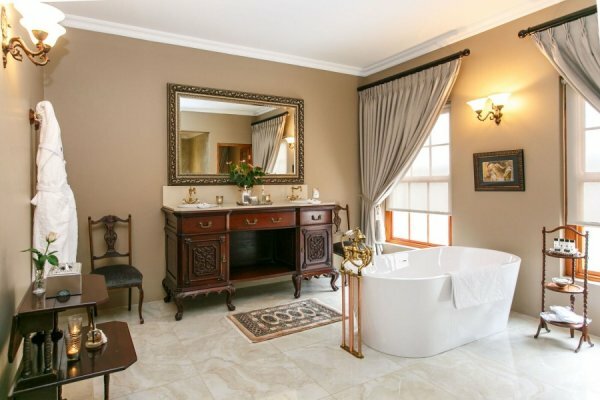 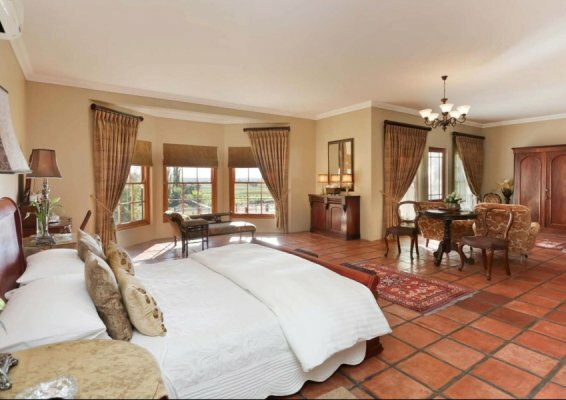 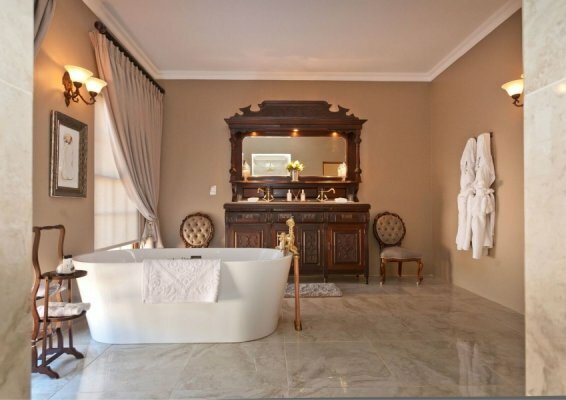 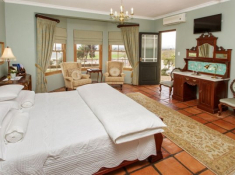 Enjoy gracious living amid the tranquility of the Olifantsrivier Valley, and have easy access to the area’s natural hot springs, nature and wildlife reserves, the Cango Caves, ostrich show farms and wine estates. 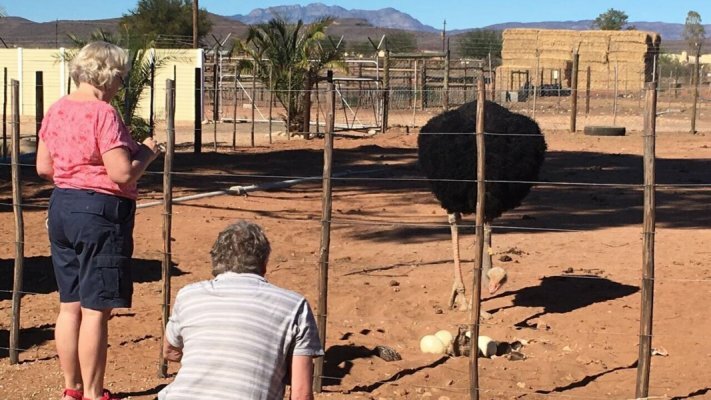 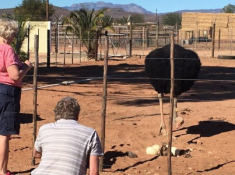 Hike, bird watch, go mountain biking and visit the world’s only meerkat conservation programme. 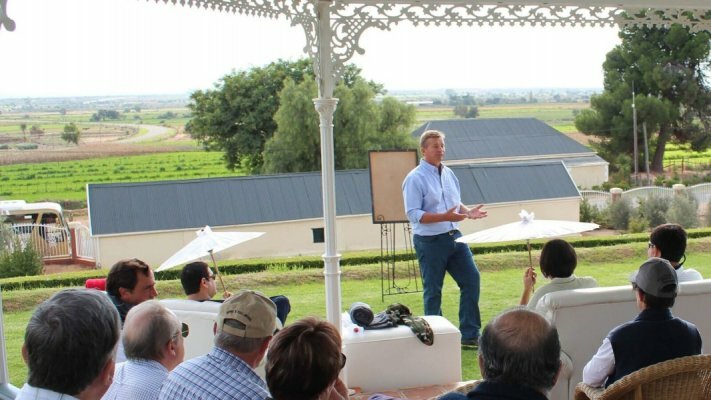 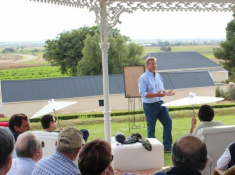 Farm tours are offered on site. 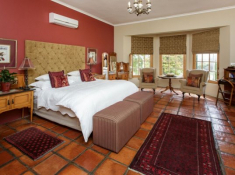 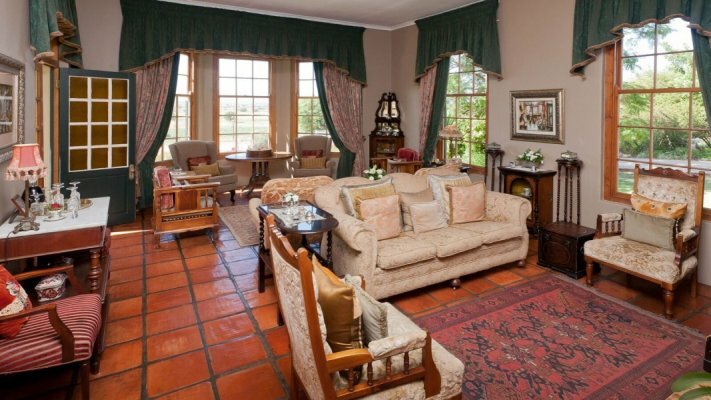 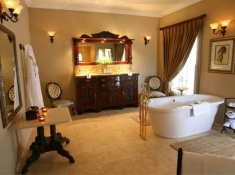 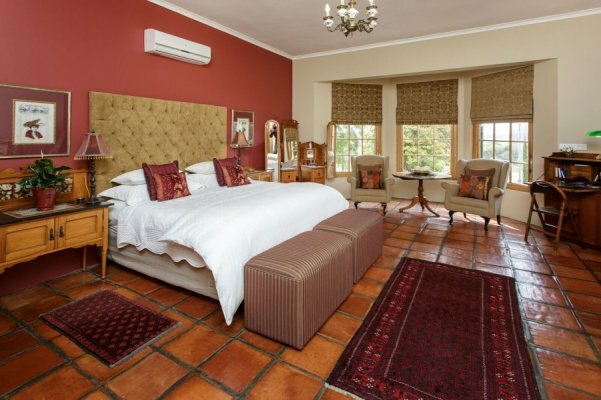 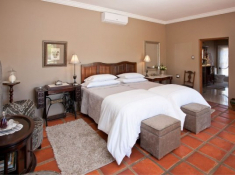 Luxurious accommodation is provided in a variety of suite and room types, and sole-use accommodation is offered at Plume Cottage (accommodates 5) and Private Farm Villa (accommodates 4 or 6). 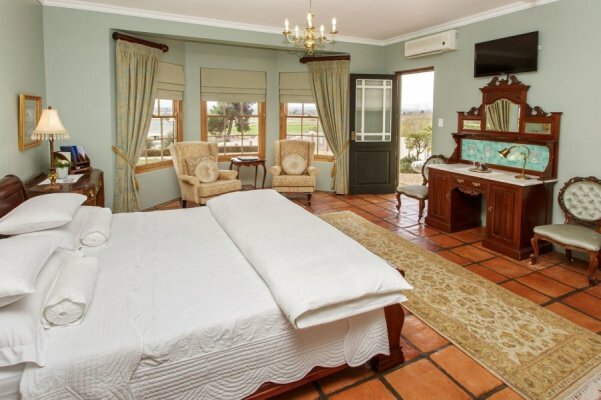 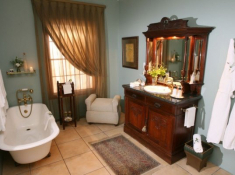 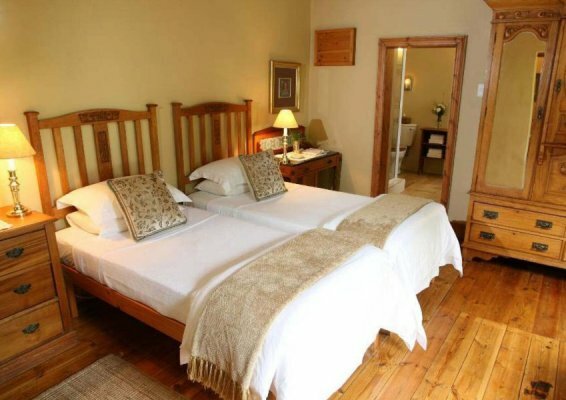 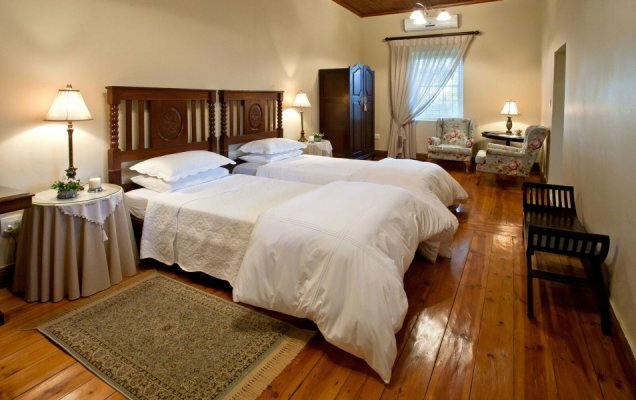 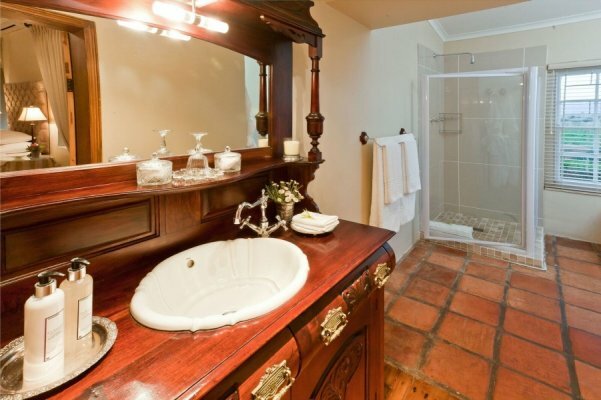 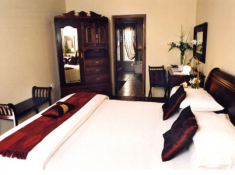 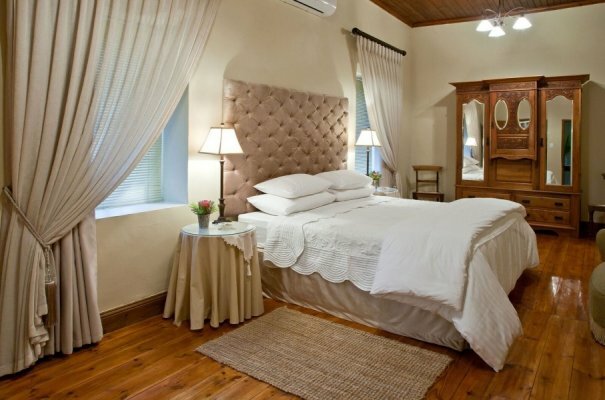 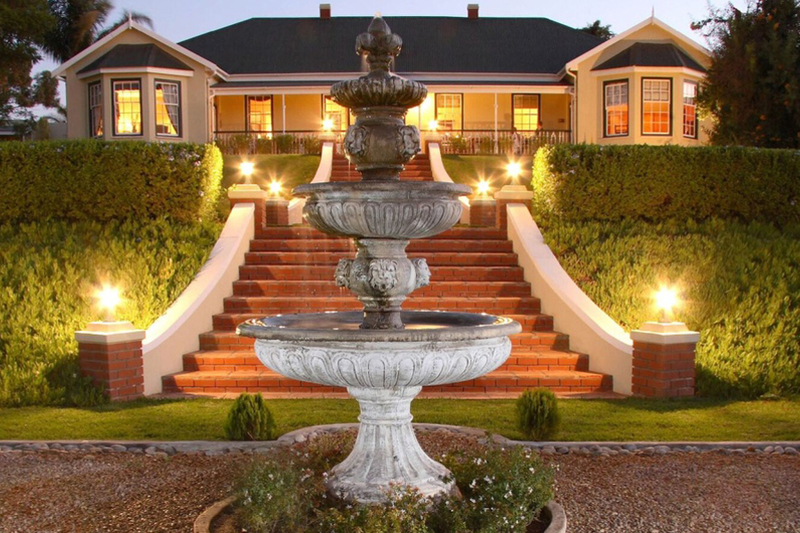 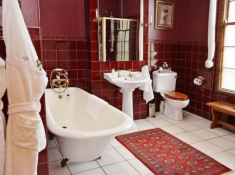 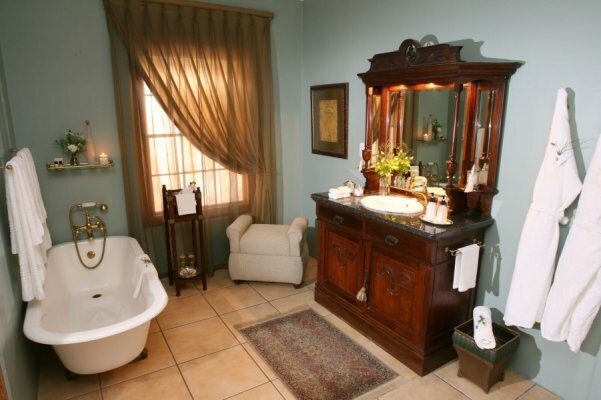 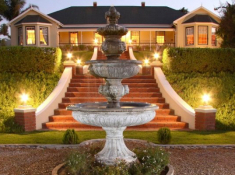 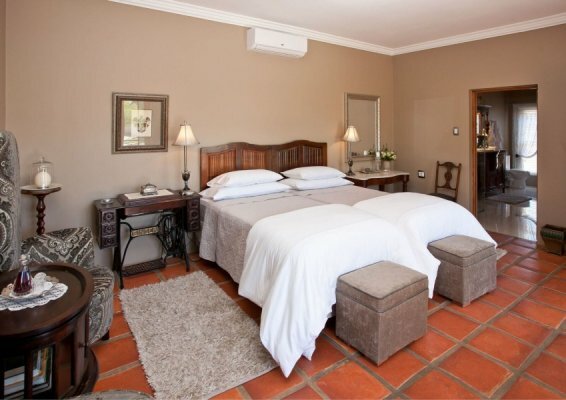 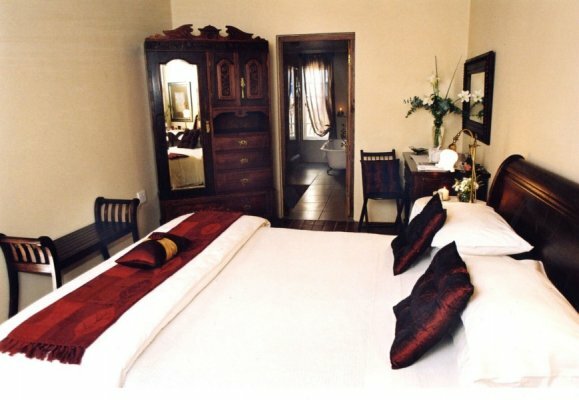 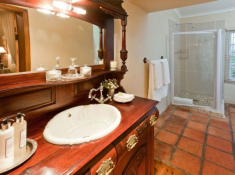 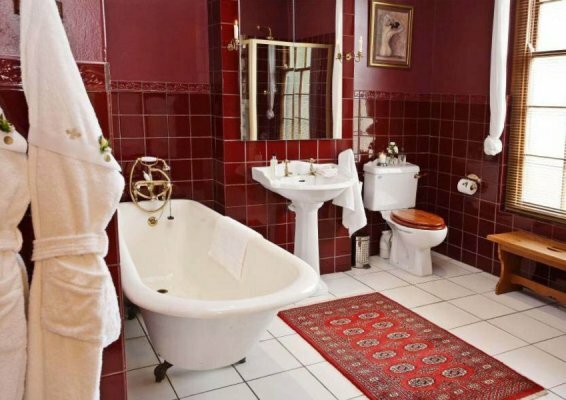 There's currently no specials at La Plume Boutique Guest House. 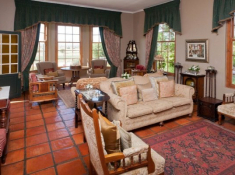 Informal conferences can be hosted for a maximum of 15-20 guests. 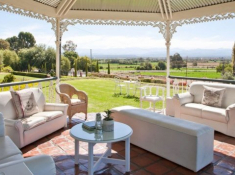 A Victorian garden gazebo is suitable for wedding ceremonies, and a beautiful tented reception space is provided in the gardens.